GTD Official Website: BACK BY (UN)POPULAR DEMAND.... SWAMP THING! Our least desired and most avoided adventure is back on the calendar for 2019! Swamp Thing is the backpacking trip your mama warned you about! 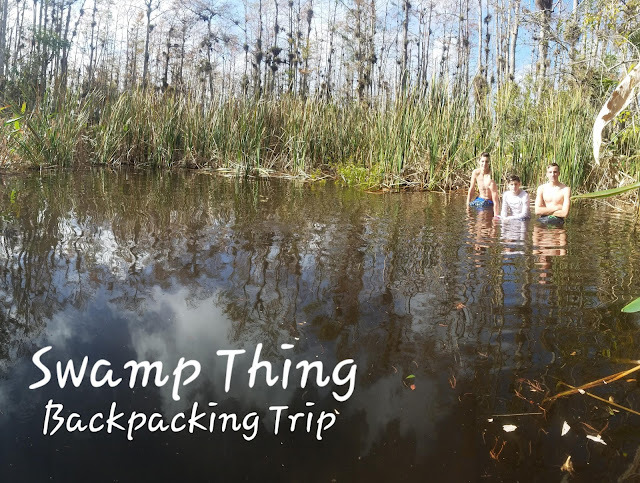 Trudging through the thick swamp with a heavy backpack on your back appeals only to the hardened adventurer with a drive to overcome, a mindset to embrace misery, and a passion to run into a challenge that everyone else is running away from. So if you like taking the hard road BECAUSE it's the hard road, this may be the trip for you. If you like something BECAUSE everyone else hates it, this may be the trip for you. If you like your badge of honor with swamp water dripping from it, this may be the trip for you. If you've got the guts to do GTD's romp in the swamp then click on the link below for more details and/or to register.